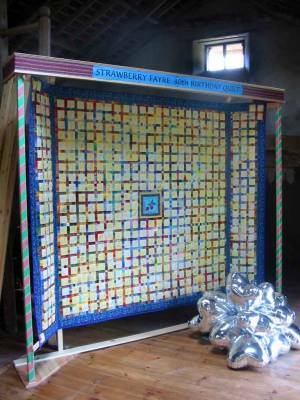 To celebrate 30 years of running Strawberry Fayre, Alec and Jenny invited their customers to take part in the making of a signature quilt. 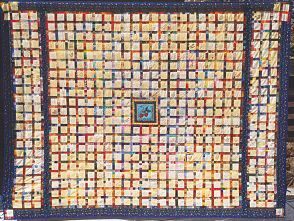 Each square bears a signature and district and is surrounded by fabric samples. 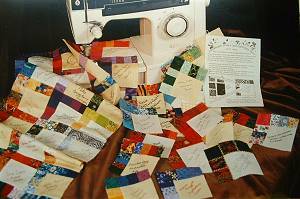 572 blocks have been submitted, which are now being assembled in time for Quilts UK, Malvern in May. Alec and Jenny are delighted with the response. 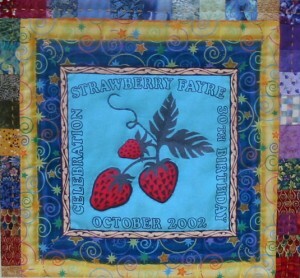 With so many customers taking part and using so many fabrics from their own collections, the finished quilt will form a unique, historical record.